Colorado life insurance is a necessary part of any person’s financial plan. Since we know we need life insurance the only question is what type of life insurance makes the most sense for each of us. There are really only two main threads of life insurance; Colorado term life insurance and cash value life insurance. Because life insurance is one of the most vital purchases that you’ll ever make, it’s important that you make the correct choice. There are several different kinds of coverage and hundreds of life insurance companies that you can choose from. All of them are going to have different rates and advantages. It can be an overwhelming search, but that’s why we are here to help. This article is going to look at the different types of life insurance coverage and the ways that you can secure lower rates. This article will hopefully answer any questions that you have about life insurance. We know that nobody wants to think about his or her death, but you can’t avoid it. Not planning for the worst could leave your family with a massive mountain of debt and other final expenses. Term life insurance is the easiest to understand of any of the Colorado life insurance options. Colorado term life insurance is just insurance. There are no thrills or frills. You purchase the policy and if you die your beneficiaries get a lump sum payout. You have to go through standard underwriting but just a quick blood test and exam are all you usually have to go through to complete the application. The term in the policy (e.g. 30 year term life insurance) is used to tell you how long your premium will stay the same. So if you have a premium of $1000 per year on a 30 year term policy then you will pay the same $1000 premium every year for the next 30 years. There are no worries about the premiums increasing. The only other component is the face value. The face value is just the amount of the policy. So a $500,000 policy has a face value of $500,000. Once you get a good idea of how this works you will be ready to buy a term policy in any state. These policies are so simple they are the same everywhere so a term Colorado life insurance policy will be the same as a term Oklahoma life insurance policy, a term Louisiana life insurance policy, etc. Cash value insurance is a type of insurance that can be cashed out and increases in value over time. Think of it more like life insurance with an investment or savings account attached. Instead of just paying for insurance part of your premiums go into an account. Depending on what type of cash value Colorado life insurance you have, the money in that account is then invested in to some sort of financial investment (anything from bank account to stocks). This may seem like a much better form of life insurance but you may change your mind when you see how high the premiums are. Colorado term life insurance is very simple so there are no management costs, thus the premiums are very low. Cash value Colorado life insurance is increasing in value over time and the investment has to be manage. This means the premiums are MUCH higher than with term life insurance. That does not mean that it is not a good option but most people find that purchasing Colorado term life insurance and then putting money into separate investments makes more sense to them. There are several ways that you can get lower insurance premiums, regardless of which type of insurance coverage that you choose. Making a few lifestyle changes can save you thousands of dollars every year. The first thing that you should do if you want to save money is to cut out any tobacco that you currently use. If you’re a smoker, then you can expect to get drastically higher insurance rates for your coverage. In fact, smokers are going to pay at least twice as much for their insurance protection versus what you would pay as a non-smoker. If you want to save money on your life insurance policy, kicking that bad habit is one of the best ways to do that. Another way that you can save money is by improving your overall health. Regardless if you choose a term or whole life insurance policy, the company is going to require that you take a medical exam before they approve your application, unless of course you have chosen to purchase a no medical exam policy, which will come at a higher premium rate. The results of the medical exam are going to play an important role in how much you pay every month. If you want to get lower rates, then you need to get better medical results. The two best ways to do that are to start hitting the gym and skipping the junk food. Both of these can help you lose weight, lower your blood pressure, and reduce your risk of being diagnosed with health complications. 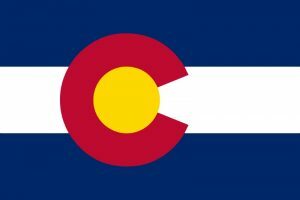 With whatever form of Colorado life insurance you think is right for TermLife360.com is here to help you make that decision. You only need to fill the form out on the side of this page to get a set of Colorado life insurance quotes. If you have any questions or if there is any way we can serve you please let us know. Because you never know what’s going to happen tomorrow means that you shouldn’t wait another day to get the insurance protection that your family deserves. If something tragic were to happen to you, and you didn’t have life insurance, then your family is going to be left with a massive amount of debts and other final expenses. If you have any questions about life insurance or about the various options, please contact one of our agents today. We would be happy to answer those questions and connect you with the perfect life insurance plan possible. It’s our mission to ensure that you’re getting the best plan available.